Orcha Fort is a big complex comprising of many places. Rajmandir and Jahangir Mahal are the most exquisite of these buildings. The way to Orchha fort complex is through a four-arched causeway. 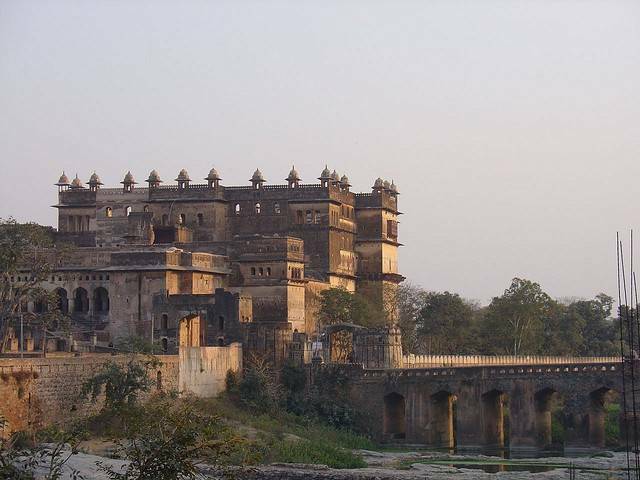 Orchha is a place which is lost in time and an architectural gem. The peace and the calmness of the Orchha Fort complex call you the minute you enter the Orchha town. The elegant architecture of the fort with paintings of old times on the walls of the fort asks you not to leave the Fort and keep on imagining the lifestyle of the people of those times.